HarmonUX Core was design according to the idea of modern blog with SEO and UX optimization. Clean design provide a harmony experience, all easily tuned to fit Your content perfectly. Powerful Theme Customizer allows you to change many aspects in theme to adapt it to Your needs. Upload logo, change colors, modify all settings and see the preview in real-time before you save. HarmonUX Core is based on Zurb Foundation front end framework. 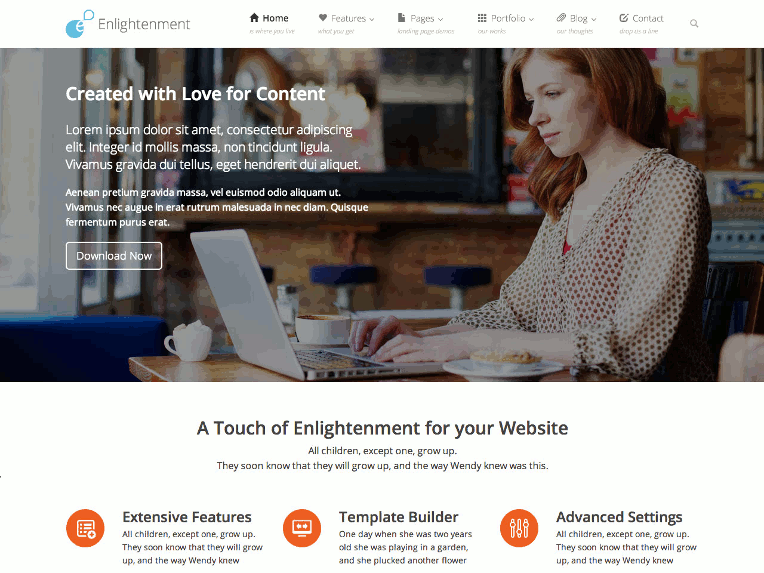 Enlightenment is a totally awesome and feature-rich free WordPress theme from One Designs. This is a multi-purpose theme so you can use it for variety of website types. It will work great for business, corporate, portfolios and blog website. Enlightenment comes with responsive layout, custom layouts, Masonry grid, infinite scroll, image lightbox plus much more. It comes with all standard WordPress functionality, you can personalize individual templates, build custom landing pages and showcase any type of content. The Customization Options includes using your own Logos, Backgrounds, Analytics and your own Custom Footer Texts and Analytics that can be tweaked using Theme Options Panel. Colorway Theme is Single Click Intall feature, Just press activate button and your website will get ready with all the dummy content. Just set the content from the Themes Options Panel. Colorway by InkThemes.com is suitable for any business or personal website. The Theme can work for various different niches. It includes special styles for Gallery pages, and has an optional fullwidth page template as well. 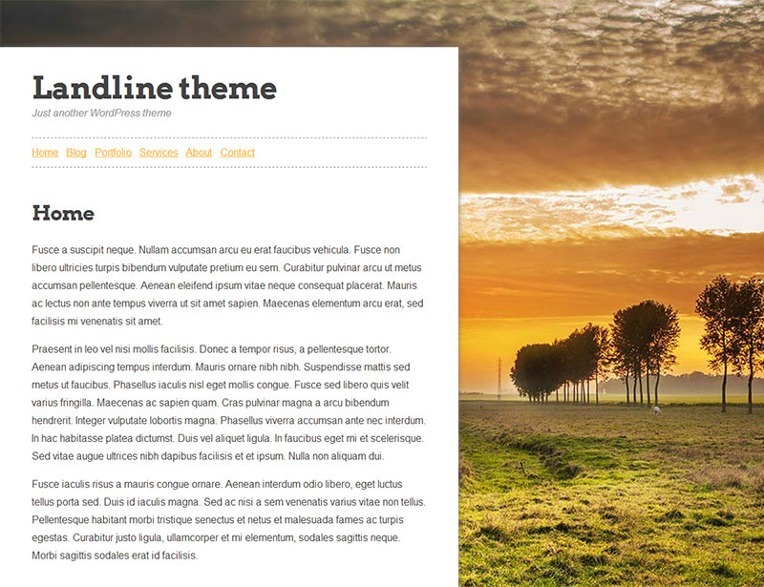 Landline is a WordPress theme featuring a fullscreen background image. You have the ability to give each page its own background image with the featured image setting. This theme supports 3 color schemes: Mango, Strawberry and Lime and custom font selection. 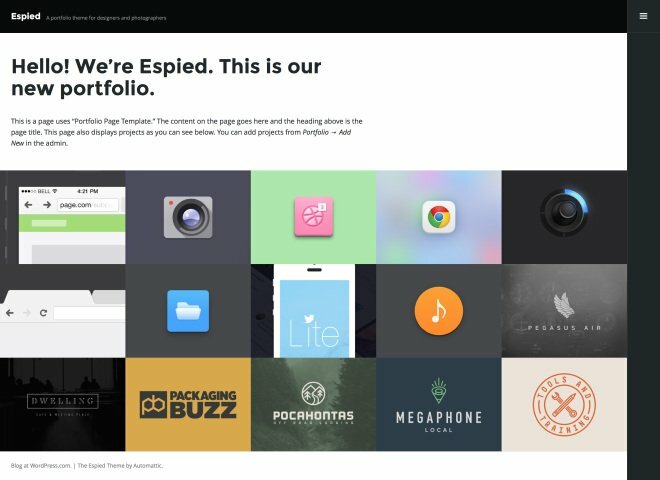 Espied is a wonderful WordPress theme created by Automattic and designed with portfolio and gallery websites in mind. The theme is just perfect for designers and photographers. With this theme you can display and showcase your creative work in a beautiful and creative way. It comes with responsive design, portfolio shortcodes, 4 color schemes plus much more. Casper is a part of the default blogging theme for Ghost. As expected, it retains its blogger-friendly look and offers clean typography set in a single-column layout. A Ghost-like WordPress theme. Casper (for WordPress) is a simple yet beautiful theme for bloggers. Inspired by the Ghost blogging platform, Casper is a WordPress port of the default theme by the same name. 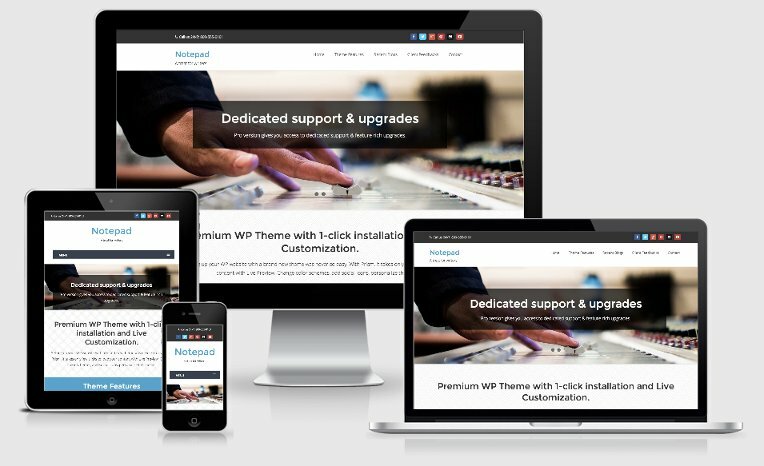 The goal of this project is to emulate the gorgeous theme while taking advantage of features exclusive to the WordPress framework. There are plenty of customization options included, accessible through the WordPress Customizer. Already included are hooks to serve responsive images appropriately and media queries to provide a fast and seamless experience from desktop to mobile. 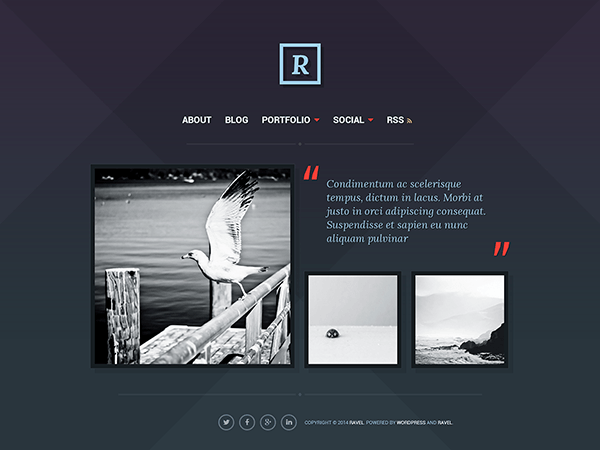 A brilliant responsive WordPress theme based on Twitter bootstrap. The theme is absolutely perfect for blog, personal or corporate website and is easily “customizable” using the theme options in the backend of WordPress. The slick layout, easy installation made it a sure winner. 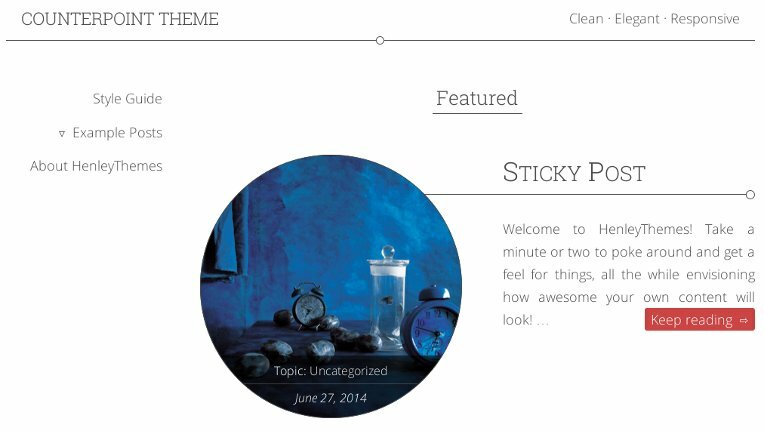 Customizable is a free WordPress theme with premium functionality and design. Prism is a trendy free one page WordPress theme from IdeaBox Themes. It is perfect for all kind of business websites. It feature WooCommerce integration so it is easy to set up an online store and shop. More features are one click installation, live customizer, multiple color schemes. You can either use it as a one page theme or a standard theme. It comes with unique one click installation and live cusotmization features which makes it easy to use and setup for all kind of users. Ravel is based on the Hybrid core framework and includes tons of great developer-friendly features. The theme is just perfect to showcase and display photos, art or other creative content. 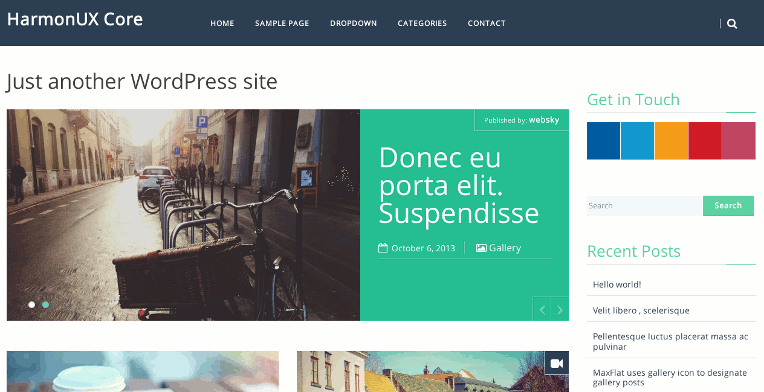 Counterpoint is a responsive WordPress theme that uses featured images as the primary visual element for post headers. It is meant for single user blogs. 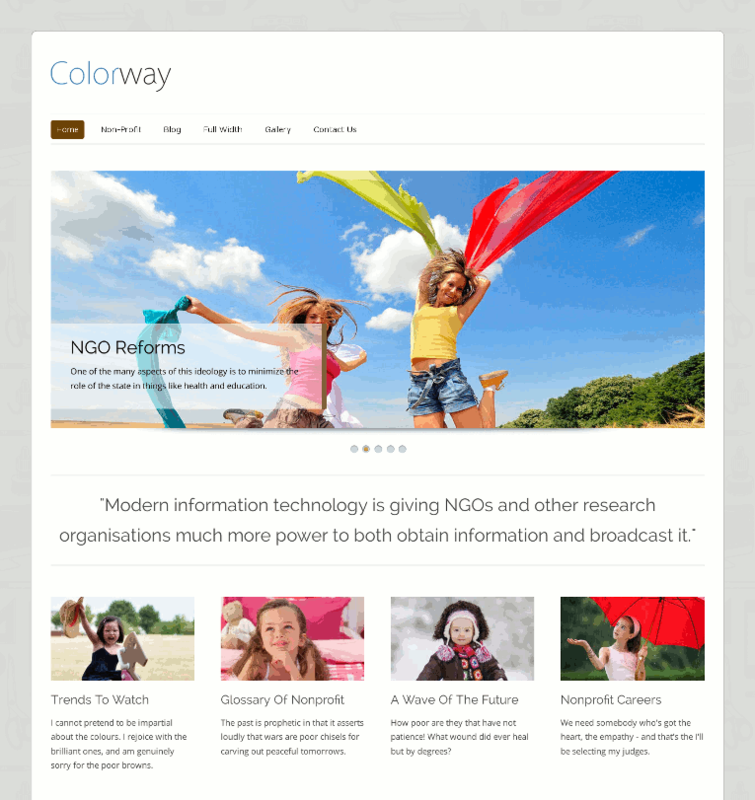 Elegant, understated, and fully responsive theme with fixed sidebar. Featured images are the main visual element and are used for both post headers and front page thumbnails, and are thus encouraged. Perfect for single-user blogs. Looks great on all devices. That brings us to the end of this month’s instillment of free themes. You can check out the previous months’ roundups here. lso, don’t forget to share your views about these free WordPress themes in the comments below! Thank you so much for sharing this themes with us! I found what I was looking for. Enlightenment is awesome!